Traditionally economic growth in the cold, rich countries of the northern hemisphere has been a key driving force behind wool prices. 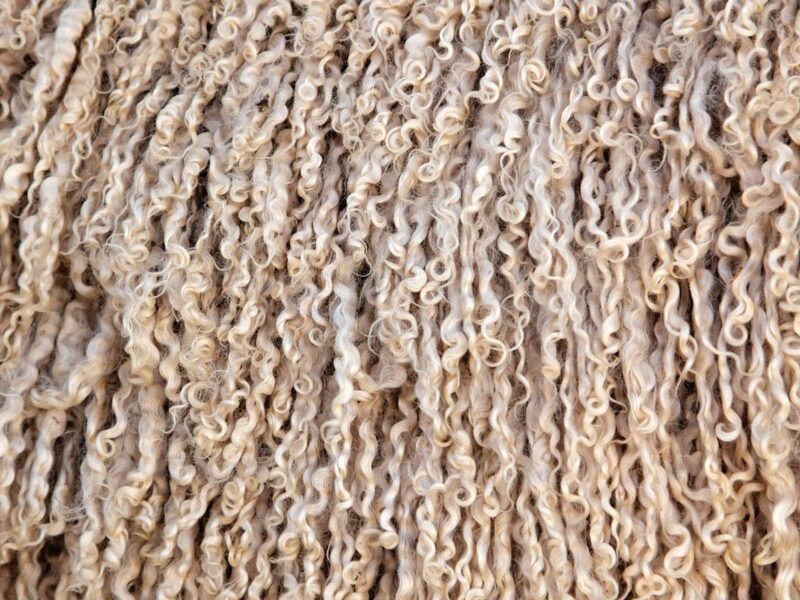 This has changed with the movement of processing en mass to China, the reported development of the Chinese domestic market for wool and the decline in wool production. 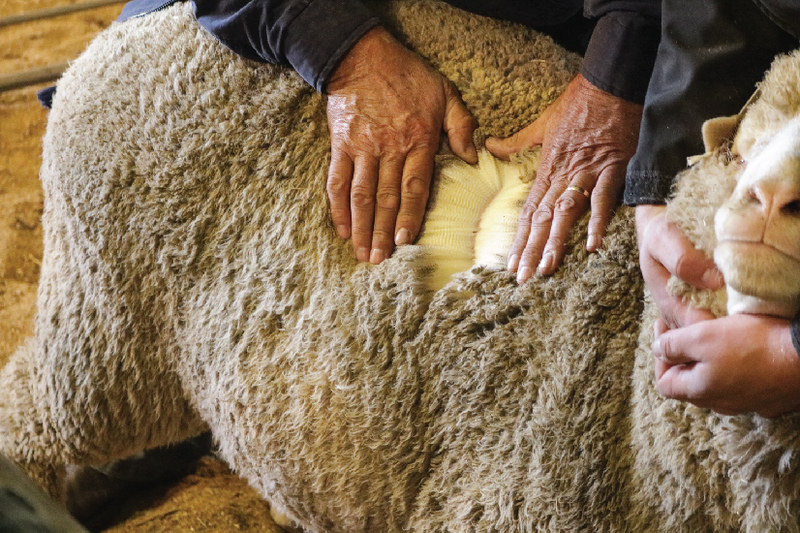 Mecardo took a look at the recent relationship between wool price and GDP. China is the key processing region for wool as well as being the key destination for Australian exports. Accordingly, China economic data is covered widely in the media. 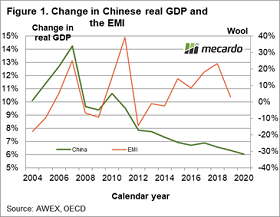 As the Chinese economy has grown in recent decades it’s natural rate of economic growth has fallen, which poses some problems for comparing wool prices with Chinese economic growth. Figure 1 shows Chinese real (adjusted for inflation) economic growth from 2004, with a projection for next year, from the OECD (view here), which uses the left hand axis. Overlaid on Figure 1 is the yearly change in the Eastern Market Indicator (EMI) which refers to the right hand axis. The strong declining trend in the Chinese GDP growth rate (a function of the development of the Chinese economy) removes a lot of any meaningful correlation to wool prices. Keep in mind that GDP as a simple measure of a big, complex economy is going to fail in many ways. 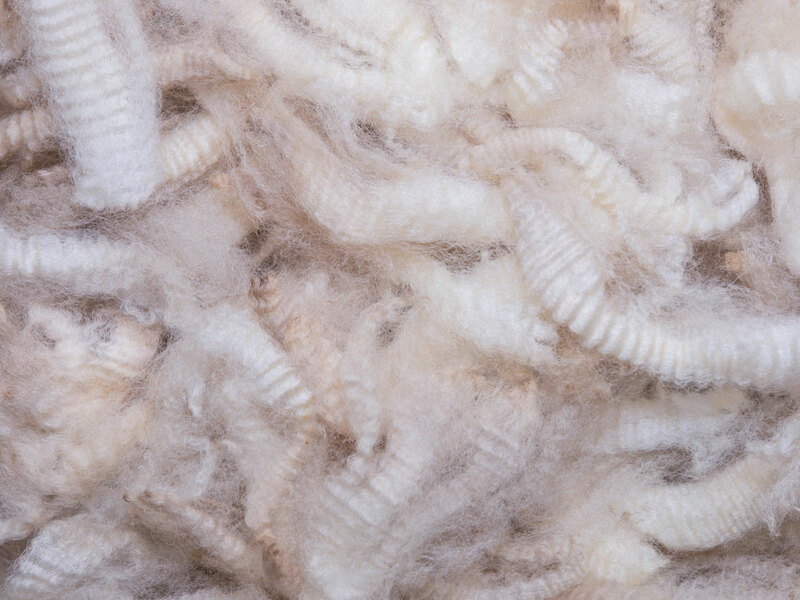 Logic tells us that economic conditions in China are important to wool, for example through the relationship between economic conditions and domestic wool consumption or through the access to credit for trading firms. This is where a single GDP number cannot deliver subtle and complex information to inform about these factors. What about beyond China? In the 1980s the rule of thumb was that OECD economic growth above 3% was sufficient to lift wool prices. Figure 2 compares the change in the European real GDP with the change in the EMI from 2004 onwards. The two series do have a reasonable correlation, which makes some sense as Europe has quite a few cold, rich countries which consume wool. However, the year to year changes in GDP and EMI have plenty of variation between them. 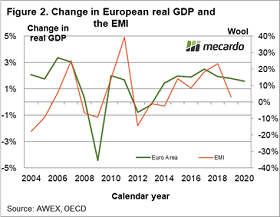 It is the same problem as with the Chinese GDP, in that the European GDP number is a coarse measure of economic activity pertaining to retail wool demand.